Premium-grade veneers and solid woods are fine finished with durability suited to everyday commercial applications. Attaches under any worksurface. 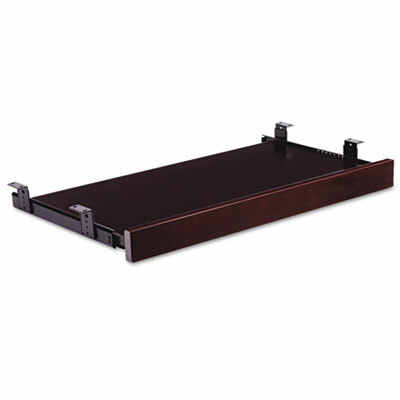 Full size 27w x 15d fits any standard keyboard and mouse shelf with ball bearing slides. Keyboard Tray Dimensions (W x D) 28" x 14"